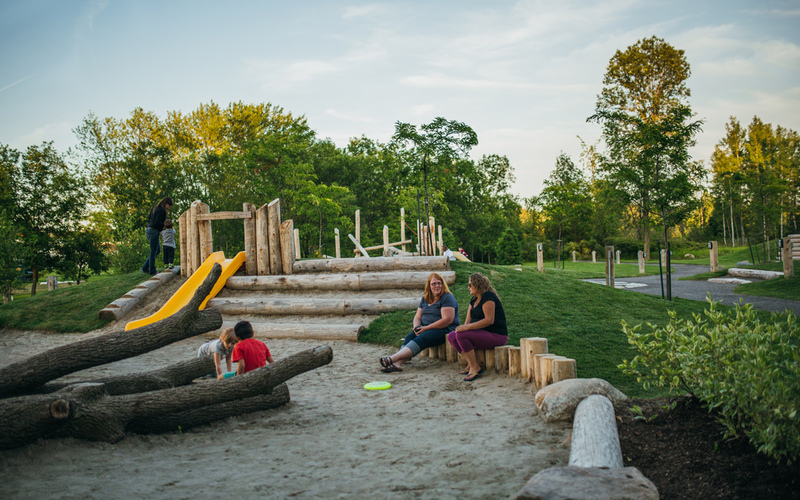 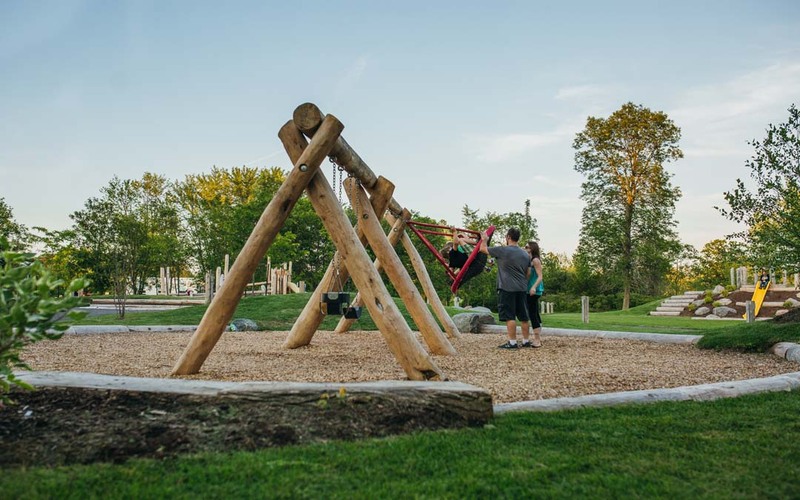 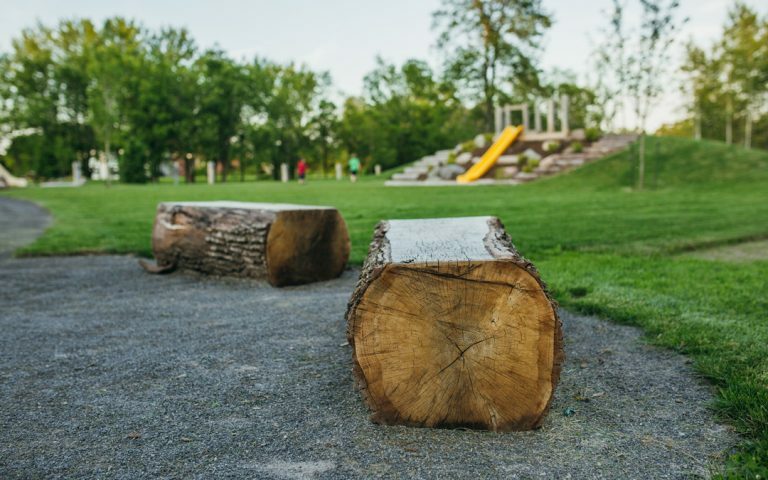 The Village of Batawa hoped to create a natural playground that would not only offer high play value but also reflect the local history and context. 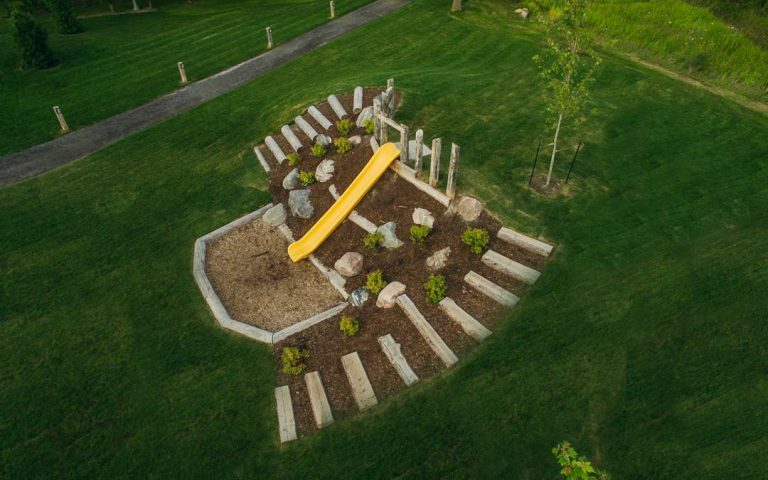 With this in mind Earthscape took to the drawing board. 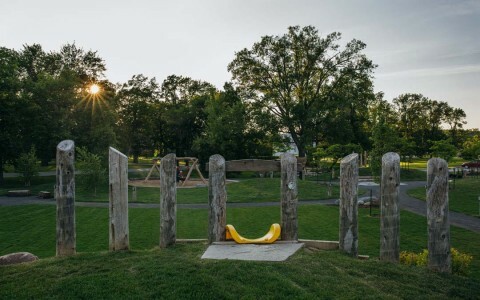 The playground is divided into a number of semi-distinct areas. The junior area includes a custom playhouse, and embankment slide as well as a multi-event stilts climber, limestone boulders and fallen log climber feature. In the senior area a large Log Jam with a slide and climbing net dominates the space, a horizontal log-climbing wall is included and edging ensures the separation of materials. Between these two feature areas a water play opportunity is presented, a concrete runnel in the shape of the Trent Severn waterway is set into a large sand play area. The runnel includes weirs to represent the lock system and is surrounded by seating logs and boulders. 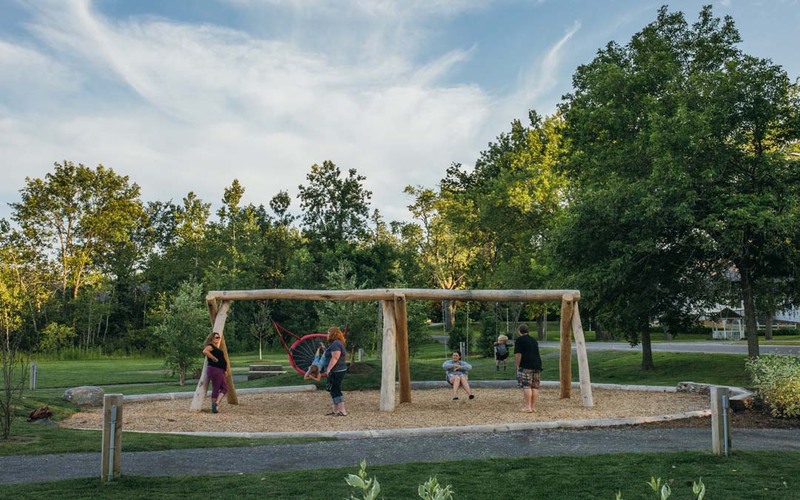 Moving further into the site the user is presented with a dual swing bay that includes an accessible basket swing. 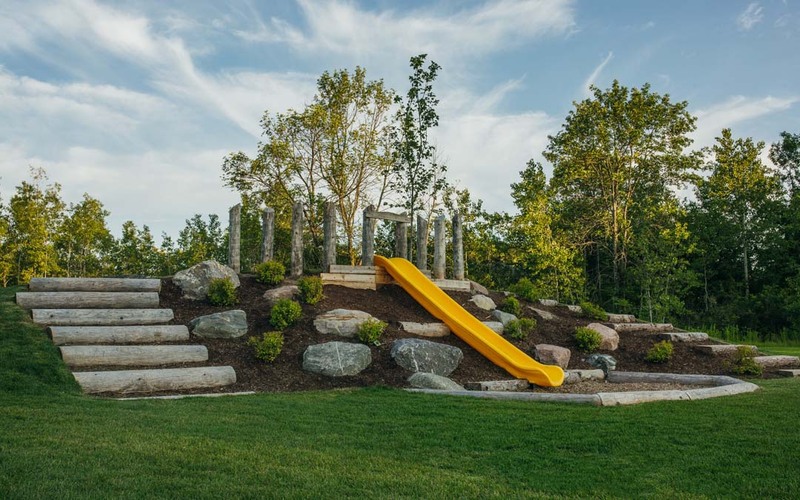 Continuing into the site exposes an adventure hill slide, a limestone boulder maze and a zipline. 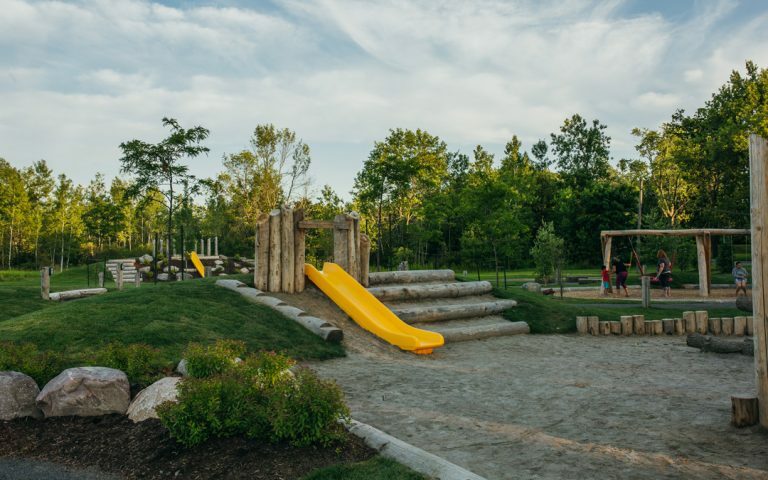 Earthscape took inspiration from local topography and included it in the planning of the site’s terrain.